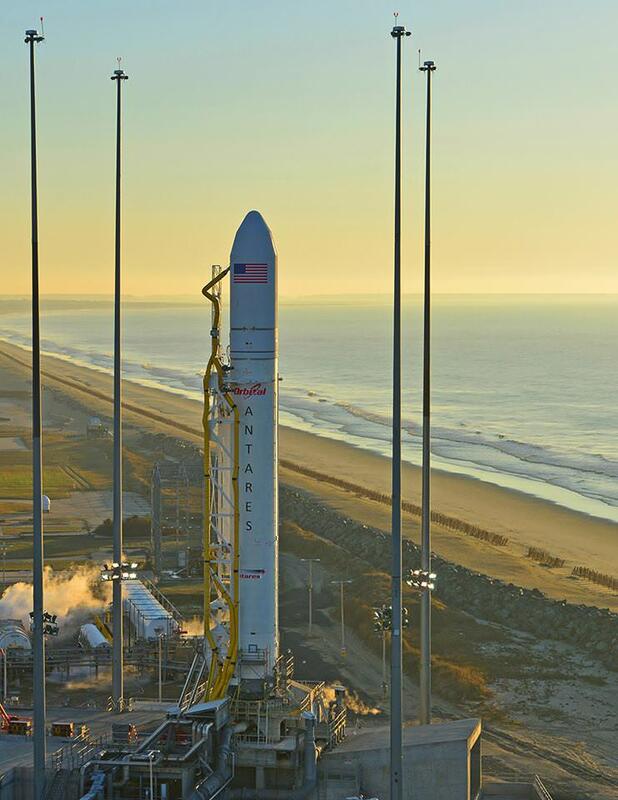 The long awaited maiden launch of Orbital ATK’s revamped Antares commercial rocket utilizing new first stage engines, from its Virginia launch base, will likely slip from July to August a company spokesperson confirmed to Universe Today. 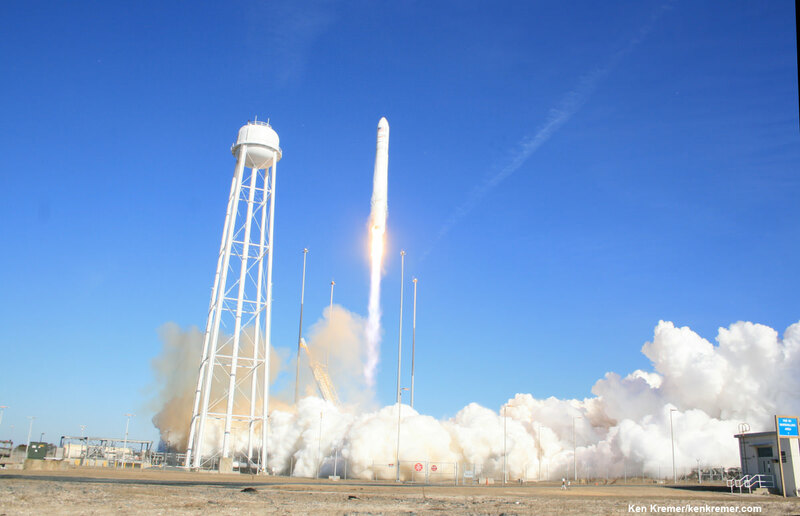 The target date for the ‘Return to Flight’ launch of Antares on a cargo resupply mission for NASA to the International Space Station (ISS) is “likely to result in an updated launch schedule in the August timeframe,” Orbital ATK spokeswoman Sean Wilson told Universe Today. The company had most recently been aiming towards an Antares launch date around July 6 from NASA’s Wallops Flight Facility – for its next NASA contracted mission to stock the ISS via the Orbital ATK Cygnus cargo freighter on a flight known as OA-5. Meanwhile the firms most recently launched Cygnus OA-6 cargo ship departed the space station and completed its planned destructive reentry into the Earth’s atmosphere on Wednesday, June 22. But before Orbital ATK can resume Antares/Cygnus cargo flights to the ISS, it had to successfully hurdle through a critically important milestone on the path to orbit – namely a static hot fire test of the significantly modified first stage to confirm that its qualified for launch. A thorough analysis of the hot fire test results and its implications is underway. “Our Antares team recently completed a successful stage test and is wrapping up the test data analysis,” Wilson said. In the meantime, company engineers continue to ready the rocket and payload. 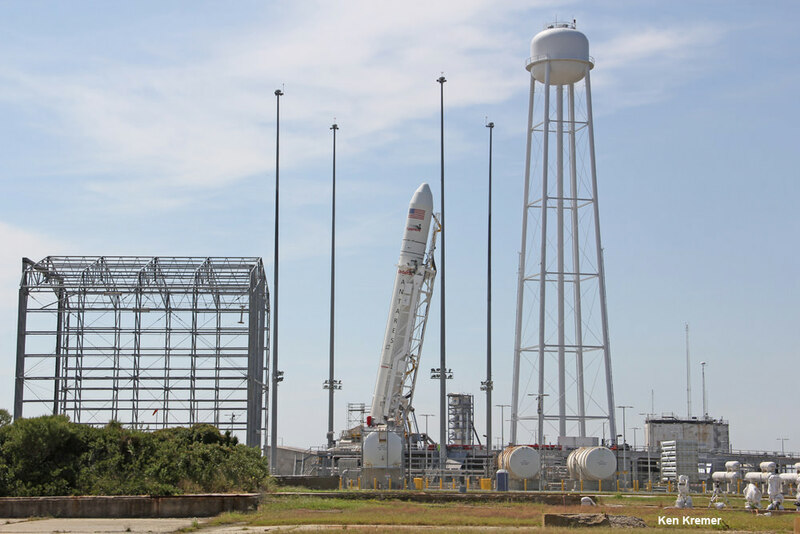 “We are continuing to prepare for the upcoming launch of the Antares rocket and Cygnus spacecraft for the OA-5 cargo logistics mission to the International Space Station from NASA’s Wallops Flight Facility,” Wilson noted. It’s also clear that a decision on a launch date target is some weeks away and depends on the busy upcoming manifest of other ISS missions coming and going. And it also must take into account the launch of the intervening SpaceX ISS cargo flight that was just postponed two days to no earlier than July 18. Another factor is the delayed launch of the next manned crew on a Russian Soyuz capsule from late June into July. Blastoff of the three person crew from Russia, the US and Japan is set for July 7. OA-5 will deliver some 3 tons of science experiments and crew supplies. Antares launches had immediately ground to a halt following a devastating launch failure 20 months ago which destroyed the rocket and its critical payload of space station science and supplies for NASA in a huge fireball just seconds after blastoff – as witnessed by this author. 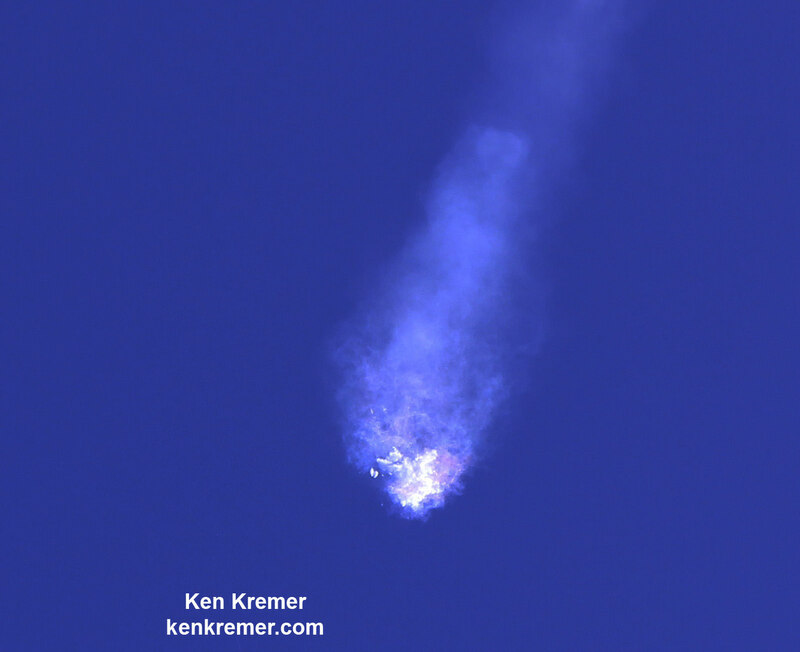 As a direct result consequence of the catastrophic launch disaster, Orbital STK managers decided to outfit the Antares medium-class rocket with new first stage RD-181 engines built in Russia. As a result of switching to the new RD-181 engines, the first stage also had to be modified to incorporate new thrust adapter structures, actuators, and propellant feed lines between the engines and core stage structure, Mike Pinkston, Orbital ATK General Manager and Vice President, Antares Program told me in a prior interview. So the primary goal of the stage test was to confirm the effectiveness of the new engines and all the changes in the integrated rocket stage. It’s not entirely clear at this time whether the Antares launch delay to August is due to changes in the ISS manifest scheduling or any lingering questions from the hot fire test or both. “A final decision on the mission schedule definitely takes into account the completion of data analysis combined with the busy space station traffic schedule and NASA’s cargo requirements,” Wilson told me in a response requesting clarification. Following a quick look immediately following the May 31 test, Orbital ATK officials initially reported that all seemed well, with the caveat that further data review is needed. With the engine test completed, the OA-7 stage will be rolled back to the HIF processing hanger at Wallops and a new stage fully integrated with the Cygnus cargo freighter will be rolled out to the pad for the OA-5 ‘Return to Flight’ mission in August. The mission of the OA-6 Cygnus ended on Wednesday, with a planned destructive reentry into the Earth’s atmosphere at 9:29 a.m. EDT. Also known as the SS Rick Husband, it had spent 3 months in orbit since launching in March on a ULA Atlas V.
It departed the ISS on June 14 and continued several science experiments. Most notable was to successfully create the largest fire in space via the Spacecraft Fire Experiment-I (Saffire-I).